At this meetup, join culturesgroup’s Ken Fornataro and special guest, Maki Ishida of Alter Native Foods, to learn about different kinds of koji to make misos (from gluten-free ingredients, nuts, seeds, legumes and grains), soy or amino sauces, and pickles - all with an eye on found, foraged or easy to get ingredients. There will be samples of a wide variety of misos to taste. Sign up here to join the Meetup. Share recipes for your own soups, salad dressings, probiotic nut or garlic spreads, or dynamite mushroom, hot pepper, or tea flavored soy sauces. Or bring some of what you have make for feedback on your miso or other koji centric creation! Ken Fornataro is an experienced chef, writer, and koji enthusiast. He is the Executive Chef/CEO (pro bono) of culturesgroup.net. Ken has authored 32 publications on science and research, primarily abstracts of research protocols of novel compounds for in vivo study. He has engaged in other businesses including founding and directing for profit and non-profits, one which contributed to developing a cure for HCV, and making treatment advances for infectious diseases including HIV/AIDS. 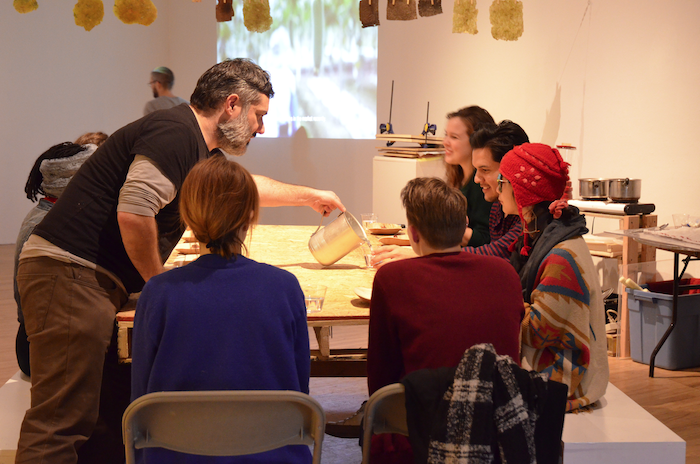 He is working on a book related to food, fermentation and preservation. Maki (Makiko) Ishida is a shio koji evangelist. A native Tokyoite who was born into a katsuobushi (fermented and dried bonito) trading family, Maki has a unique sense of how to blend traditional Japanese food with everyday American fare. Through her company, Alter Native Foods, she shares easy, healthy and delicious shio koji applications for the everyday American kitchen. (Instagram: @alternativefoods). When she is not in her kitchen, Maki also provides translation services in a variety of industries.